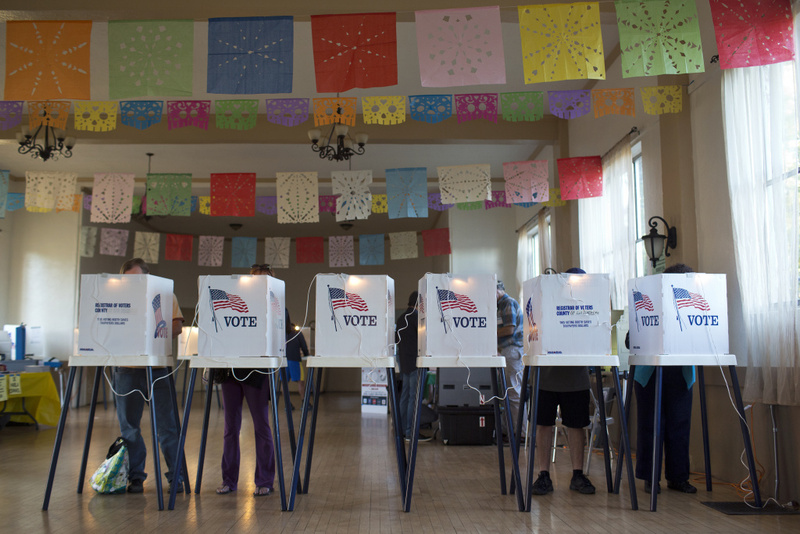 Los Angeles County residents vote inside All Saints Episcopal Church in Highland Park during election day on Tuesday afternoon, Nov. 4, 2014. The 2016 election is already dominating newscasts, but KPCC senior politics reporter Mary Plummer is less interested in talking heads and more interested in what you have to say. What’s inspiring you to vote—or not? How does how you identify shape your views of the election? Please take a few moments to answer our questions and to share any you may have. We read every response, and they all help contribute to KPCC's journalism. Responses are confidential. If you're willing to be public with your responses, though, look for the permission button below and click yes.